The male voice choral tradition in Wales, so emblematic of the country, is facing very real challenges. Last year Penarth Male Voice Choir, from South Wales, disbanded after singing in the town for more than 110 years. Reports of other choirs folding due to lack of numbers is largely anecdotal, but an ageing demographic among choristers has been a cause for concern for some time now. Part of the problem stems from the fact that many of these choirs thrived in parallel with a mining industry which once proved the life-blood of their communities. The choirs' erstwhile hotbeds of recruitment now appear a relic of the past. The musical director behind both of these groups accepts that their success has had limited impact in terms of swelling the ranks of the older, more traditional choirs: "The male choirs themselves realise there is a problem and they need to recruit younger singers. But there is something that is stopping that happening, " says Tim Rhys-Evans. "I think the more the gulf between young people and the average age of the choirs widens my worry is that we're never going to get it back. So we've all got a job to do." 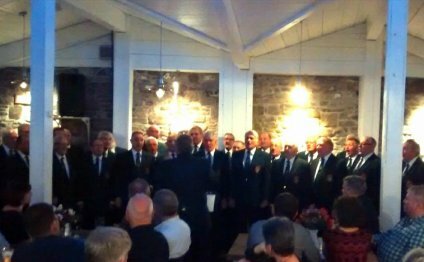 Blaenavon Male Voice Choir, named best UK choir at the recent Cornwall International Male Voice Choral Festival, has transformed its social media profile in an effort to attract new fans. The collaboration with Cwmbran based Focus Shift Films - to crowdfund a documentary - remains a work in progress. Gareth Whitcombe is confident this latest initiative will provide the impetus they need: "The culture and heritage is too good to lose. It's a sound we can't let go". Other choirs, no doubt, will be watching their progress with great interest. How to start a Church choir?